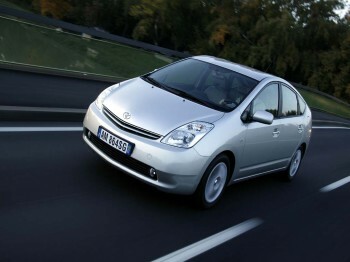 Small cars have become very popular these days and many people are seen driving these pretty hybrid cars. There is a lot of hype surrounding these cars with manufacturers claiming that they give high mileage per gallon and above all, they are rated as eco-friendly vehicles with no emissions at all of harmful gases. Although these carmakers are so enthusiastic about publicizing the enormous advantages of owning these types of cars, they do not really talk about the amount of savings that one will get by owning these hybrid cars; nor the distance that should be covered so as to save sufficient amount to justify the purchase. For example, the 2010 Toyota Prius V hybrid car is rated as highly fuel-efficient vehicle clocking 50 miles per gallon compared to a five year old conventional car costing $8,000 that gives only 15 miles per gallon. The cost of owning the Prius for 5 years works out to around $35,198, which is inclusive of monthly payments of $450 towards installment and interest totaling around $27,000 for the five year period. The other expenses relating to the vehicle consist of $1853 sales tax, the license fees of around $1935, insurance premium of $3210 and estimated costs of mechanical repairs and maintenance of $1200. The cost of maintaining the five year old car for another five years is around $8,586. There are no loan repayments as they would have already been paid in full over a period of five years and similarly, there is no need to pay any further sales tax. The recurring expenses include the annual license fees of about $836, insurance premium of$1750 and the estimated mechanical repairs and maintenance of $6000. These cost figures present an entirely different picture and in the ultimate analysis, the old car proves to be much more economical than the modern hybrid car, though it may not be the most stylish or attractive compared to small hybrid cars. The difference in total costs between these two types of cars works out $26,612. It means that it would take more than 29 years to recover the investment considering the price of gasoline at $2.50/gallon. Even taking gasoline price at $4.00/gallon, it would take 18 years to recover the investment on the hybrid car. The prices of gasoline are likely to go up during the current year and may even cross $5 per gallon. Even with such high gasoline prices, it will take 14 years to get back the amount invested on the small hybrid car. It is too long period to have the money blocked in a car that may not consume much fuel, but certainly not economical. Let us now consider the present old car, whose cost of investment has been fully recovered. Although it might not appear as gleaming as it was when it was purchased, still it has still a lot of value. With the state of the current economic scenario being what it is, people are reviewing their spending habits and are exploring all possibilities to curb unnecessary expenditure and save as much as possible. These economy measures will equally apply to the vehicles people drive as well. If the budget does not permit, there is no need to buy the latest models of cars. One should feel satisfied with whatever vehicle they own as long it is maintained well and serves the purpose. If the existing car is maintained regularly, there could be a saving of over $26,000 during the next five years. That is quite a substantial amount considering the price of gasoline at $5/gallon. Proper and timely maintenance is absolutely essential in order to ensure hassle-free running and longer life of the car with minimal amount for repairs. There is an annual maintenance program for every vehicle that is laid down in the maintenance manual. It indicates the details of maintenance to be carried out. Those not familiar or clear about the maintenance guidelines can seek the assistance of the nearest automobile service center for guidance. As the vehicles are driven extensively all through the year, checking up all the parts, changing oils, greasing etc. are necessary. The average useful life of a vehicle is a little more than 13 years with a total mileage of 145,000. With appropriate maintenance and attention our vehicles can last the life-span of 13 years set for the vehicle and may last even beyond. While a small hybrid car is beautiful to look at and drive, it is not at all attractive when it comes to spending money on the car. Although it may contribute to fuel economy in the short run, it is not always economical in the long run as it is troublesome and expensive to change the battery from time to time. While environmental considerations are important, the existing car can also be made eco-friendly with suitable modifications. It is more than sufficient for our needs, if the present car is well maintained.